Chalmers was moving up in distance from his favoured 100m event - where he is Olympic champion - and finished in front of fellow Australian Mack Horton, moving down from the 400m distance at which he earned the host nation's first gold medal of these Games yesterday. Both men were out of the medal positions at halfway as South Africa's Chad le Clos, still on the high of receiving his 50m butterfly gold medal moments earlier, moving in front ahead of England's James Guy and Scotland's Duncan Scott. Chalmers then made his move as he powered further clear with virtually every stroke in the final length. He touched first in 1min 45.56sec to raise hopes of becoming the first man to complete the 100 and 200m Olympic double at Tokyo 2020 since Dutchman Pieter van den Hoogenband did so at Sydney 2000. "We had a race plan and we stuck to it really well," Chalmers, who missed last year's World Championships after undergoing heart surgery for a condition known as supraventricular tachycardia in June, said. "The third 50 felt pretty strong, and I knew I had a bit to give in that last 50." Horton clocked 1:45.89 for second place and Scott 1:46.30 for the bronze medal. Guy finished fourth as le Clos faded to seventh. 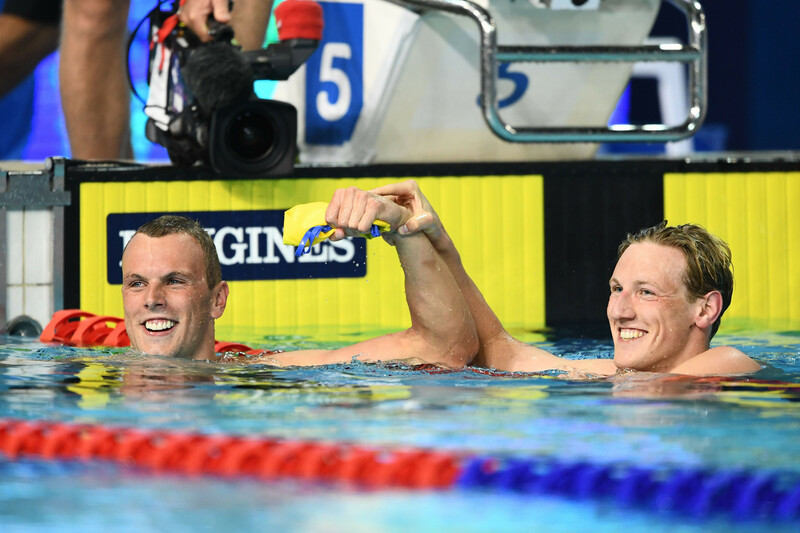 Chalmers then joined team-mates Cameron McEvoy, James Magnussen and Jack Cartwright to anchor the Australian 4x100m freestyle relay quartet to the gold medal in 3:12.96. England won the silver medal in 3:15.25 and Scotland the bronze in 3:15.86. Le Clos had earlier clocked 23.37sec to win the 50m butterfly and improve upon the silver medal he took at Glasgow 2014 behind England's Ben Proud - disqualified here for moving on his block in the heats. It marked the South African's fifth Commonwealth Games gold medal and 13th podium finish in total. Dylan Carter claimed Trinidad and Tobago's first medal of the Games with silver in 23.67 and Ryan Coetzee also took a South African bronze in 23.73. It was Australia's night in the pool, however, as Chalmers' victory was one of six gold medals in total in the nine events. Even the frequent bursts of rain in the open-air venue could not dampen home spirits. Timothy Disken won the S9 men's 100m freestyle in 56.07 as England's Lewis White took the silver medal in 56.77 and there was bronze for Brenden Hall, also of Australia, in 57.90. 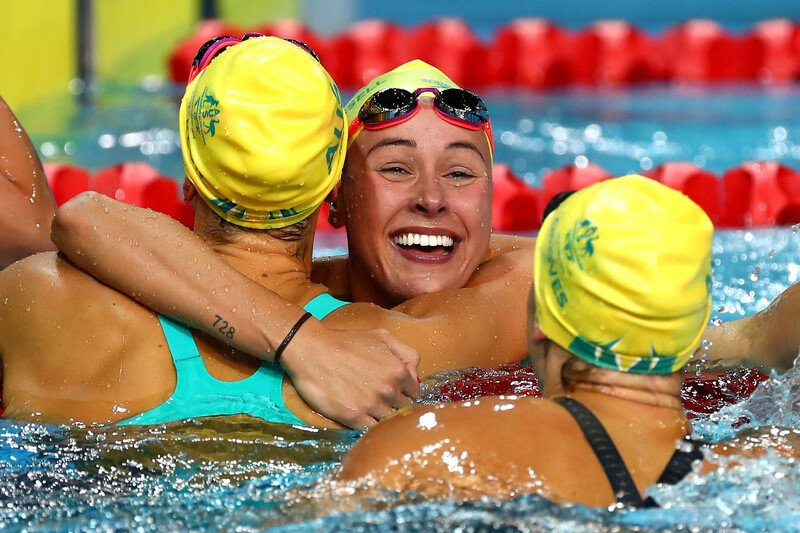 Emma McKeon led a home clean sweep in the 100m butterfly in a Games record 56.78. She beat team-mates Madeline Groves, second in 57.19, and Brianna Throssell, third in 57.30 as Olympic silver medallist Penny Oleksiak of Canada was consigned to fourth two tenths of a second back. Clyde Lewis produced a storming second half to win the 400m individual medley in 4:13.12 and finish six tenths of a second clear of Scotland's Mark Szaranek. 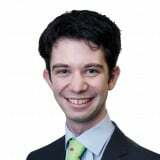 Lewis Clareburt of New Zealand managed 4:14.42 for the bronze medal. Mitch Larkin dominated the 100m backstroke to win in 53.18 and beat team-mate Bradley Woodward, second in 53.95. Canada's Markus Thormeyer managed 54.14 for a bronze medal. Sarah Vasey of England had earlier won the 50m breaststroke in 30.60 before the Australian procession began. She comfortably touched first 0.16 seconds ahead of Jamaica's flagbearer Alia Atkinson. Leiston Pickett of Australia was a further two hundredths back in third. England's world record holder Alice Tai won the S9 100m backstroke. She turned first and moved further and further ahead to triumph in 1:08.77. Ellie Cole and Ashleigh McConnell took Australian silver and bronze medals in 1:11.51 and 1:15.93 respectively.